To group the data in a grid, specify grouping criteria by setting the GroupByExpressions property of a table view in the grid. You can set the group-by expressions declaratively at design time, or programmatically in the code-behind. You can access the group panel using the grid's GroupPanel property. 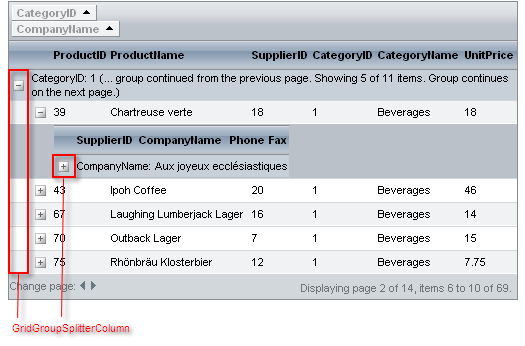 You can use PanelStyle and PanelItemsStyle to control the style of the group panel and its items. 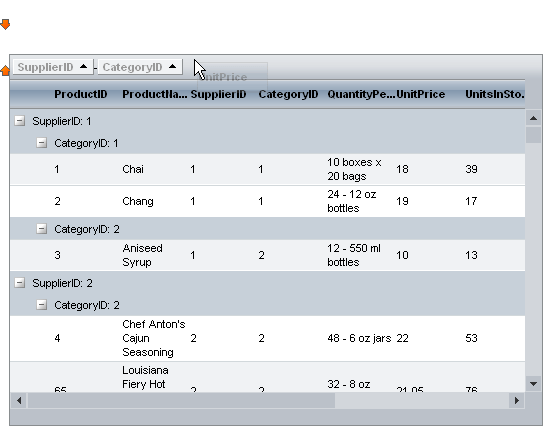 Users can use the sort indicator of the items in the group panel to specify the sort order of the grouping field. You can expand all groups on grid load by setting the GroupsDefaultExpanded property of the MasterTableView to True (this is the default value). RadGrid’s grouping structure has been extended with buttons in the group expand column headers that allow all group headerson a given level to be expanded/collapsed.The buttons in question are switched on through the EnableGroupsExpandAll property exposedboth on the level of the grid and the table views. The new expand-all functionality supports all group load modes. 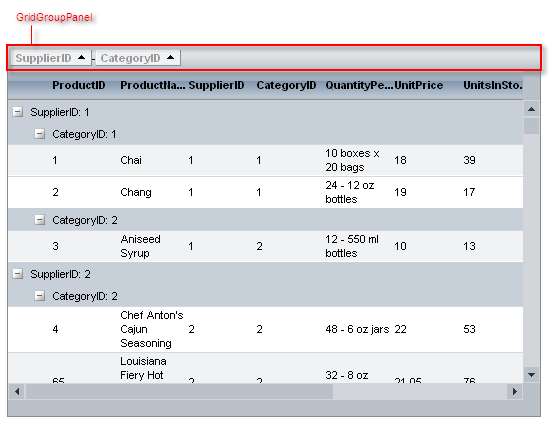 It is important to note that in the case of grouping for a given table view, the header expand-all buttons’ visibility dependson whether their preceding counterparts are visible and expanded. In other words, if, for example, the expand-all button for grouplevel 2 is collapsed/hidden then all expand-all buttons for the following group levels will be hidden.